First of all, here is a concise list of all the products that have been recalled, starting with the most recent first. This comes from the US Consumer Product Safety Commission, where you can find safety information on just about everything...everyone should check out the site, as it is extremely informative, even for those without children! What can we do about this in the meantime? Well, we stumbled upon a children's store that we think you'll love! Natural Pod! The moment you look at this website, you'll feel at ease. Natural toys for your kids to enjoy-handcrafted and hand-painted. Sturdy enough that your kids can play with them for years, and may even be passed down as a treasured family heirloom! Learn more about the idea behind Natural Pod here. Natural Pod has items for children of all ages-babies, toddlers, and all kinds of things for older children! You can rest easy that your money will be well spent on quality items that you don't have to worry about! A BIG ROUND OF APPLAUSE TO OUR FRIENDS AT NATURAL POD!!! Thank you for providing toys that we can feel good about buying! ***Note, we will be adding a second review of Natural Pod along with a GIVEAWAY soon, so stay tuned!
? SuperMomz is the on-line answer to all of your needs! Need something to pamper yourself with after a long day of a teething toddler or a troublesome teen? Look here. How about breastfeeding supplies? Here you go! Kid's friend has a birthday coming up? No problem! Want to go on a walk with your baby, but it's a bit dusky and you're worried a car might not see you? Here's a TykeLight (I got one and it's great!). Julie is the genius behind SuperMomz, and she's not left any stones unturned when it comes to finding everything you've ever needed as a new or seasoned parent. If you sign up for the SuperMomz newsletter, you'll also be privy to some great deals! Stop driving yourself nuts at overpriced chain stores, SuperMom! Support one of your own and get over to SuperMomz! 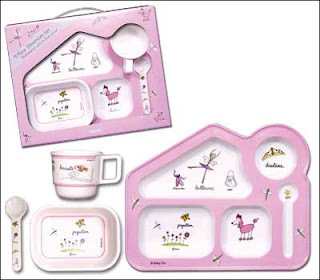 One lucky SuperParent will get a dinnerware set for your SuperChild! 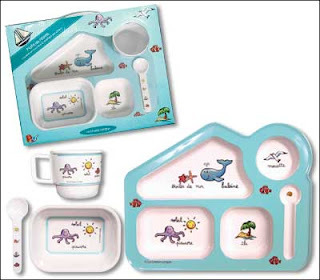 If you win, you get your choice of these two sets from Baby Cie. All you have to do to win is leave us a comment & post about this contest on your blog with a link to www.mumsthewurd.com and a link to www.supermomz.com. Contest ends at 10 PM, August 22nd. Good luck!